Technology has changed, so why hasn't the way we continue education? 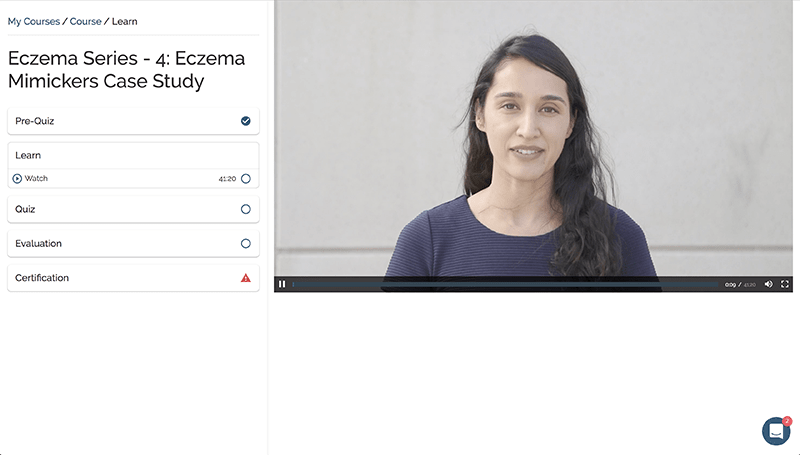 Assess your dermatology knowledge prior to taking the course and identify areas of focus with a few quick questions before you start learning. The same questions will be asked in the post-test so you can compare your progress at the end. Both mediums will fulfill the online CME course requirements. Learn at your own pace in the format you prefer. Complete a short post-quiz to evaluate your understanding of the subject material at the end of the course. 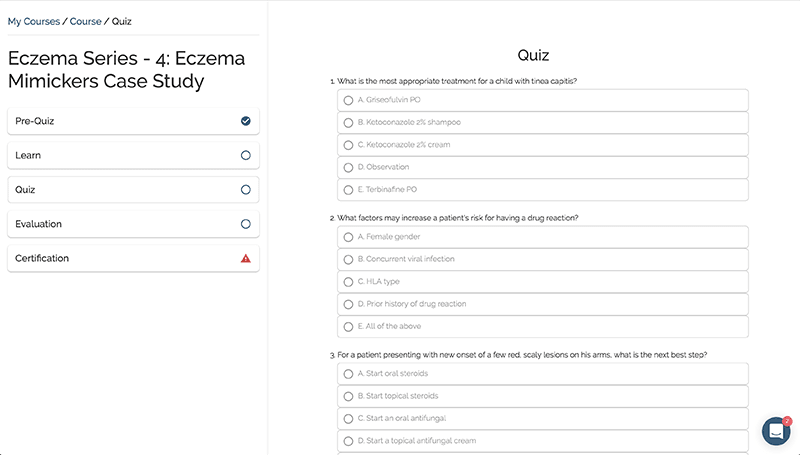 Quiz questions are multiple choice and based on real clinical scenarios to give you pertinent application in your practice. Quizzes can be taken on the go by phone or mobile device. Successfully pass with 70% or higher on the first attempt or several. 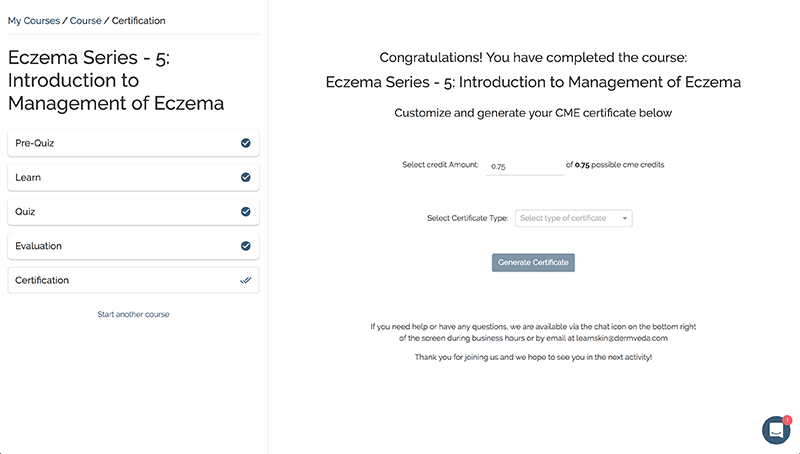 Evaluate the course at the end and earn your CME/CE certificate. Select the credit amount, certificate type, and download a PDF or receive confirmation by email. Course completions are also saved to your profile for convenient future access.